I can not imagine promoting our community and quality of place without CGI. They are a wonderful partner! What we liked most about our experience working with CGI Communications is that it opened us up to a new way to promote our city through video. When we first posted them on our website and shared it, everyone seemed to be impressed by it. What really impressed us is from beginning to end you all understood city government and the quality of the video was great, really professional. The City of Norco has been very pleased with the promotional videos produced by CGI. We found the production values to be outstanding and CGI staff worked closely with our staff and a citizen’s commission to craft just the right messages for Norco. The videos capture the essence of our community and we expect them to be effective marketing tools for the City. The City of Three Rivers had an excellent experience working with CGI to create high quality videos that reflect our dynamic community. CGI was professional and delivered on what they promised. Thank you for continuing to work with the City of Placerville on our website videos. The videos enhance our website and are a great way to introduce visitors to our city. Thank you so much for this project. It turned out beautifully and we are all very pleased! It was a good experience for all of us, and really reminds us of what a great place Norwalk is. Whether you're a small city, a thriving metropolis, or something in between, CGI's products and services for Community Image Marketing highlight the best your community has to offer. 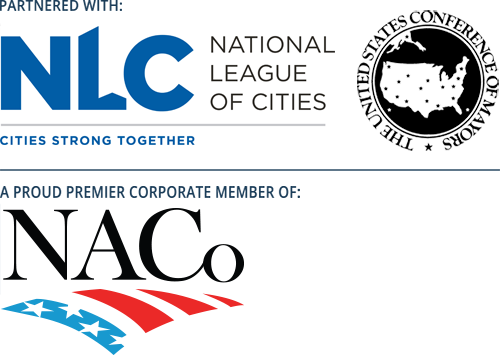 CGI works in partnership with the U.S. Conference of Mayors, National League of Cities and is a Premier Corporate Member of the National Association of Counties. The Community Video Tour includes complete video production of a series of topical highlight videos, approximately one minute each, for and about your community. From script consultation all the way through editing, CGI's team will work with you every step of the way to ensure your community is properly highlighted. A graphic link will be prominently displayed on your municipal website homepage, which will bring viewers to the Community Video Tour. Our One-Click™ technology ensures the videos will play on all computer systems, browsers, and internet connection speeds, and our SmartTrack™ technology lets you view statistics and recent activity for your website videos.